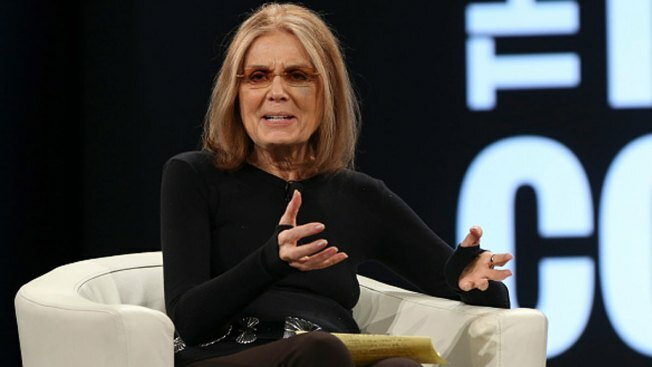 Gloria Steinem speaking at the 2016 MAKERS Conference in California. Lands'End recently apologized to customers for including Steinem in a feature in their catalog after customers complained. The company removed a feature on Steinem from its website after customers complained about her support for abortion rights, the Milwaukee Journal Sentinel reported. The retailer issued an apology Wednesday after offended customers complained, including by flooding the company's Facebook page with hundreds of comments and vows to stop shopping the stores. "We understand that some of our customers were offended by the inclusion of an interview in a recent catalog with Gloria Steinem on her quest for women's equality," the company said in a statement. "We thought it was a good idea and we heard from our customers that, for different reasons, it wasn't." Steinem had been interviewed by company CEO Federica Marchionni for the Lands' End "Legend Series," which features people "who have made a difference in both their respective industries and the world at large," according to the company. "Our goal was to feature individuals with different interests and backgrounds that have made a difference for our new Legends Series, not to take any political or religious stance," the statement said. It wasn't immediately clear whether the interview mentioned her stance on abortion rights. Steinem's representative at Random House said Steinem was currently in the United Kingdom on book tour and unavailable for comment. Earlier this month, Steinem drew criticism for her comment about the Democratic presidential race, saying U.S. Sen. Bernie Sanders' young female supporters were doing it to meet boys instead of backing former Secretary of State Hillary Clinton. At least two private religious schools also have weighed in, saying they plan to stop purchasing uniforms from Lands' End and are urging others to do the same. In a letter to the company, Missouri College of the Ozarks administrator Sue Head said its decision to feature a "well-known abortion activist" helped lead to the school's decision to shop elsewhere. Head said the college has spent more than $150,000 in the company's uniform division.